Techno-Cake home-security and service unit onto the base. The components allow the robot to signal the presence of smoke, gas, and intruders. Fitting the robot with a support attachment and plotter-device, the robot can utilize a humidity probe to detect water leaks. At the first sign of danger, it can inform a computer or trigger a built-in siren. An arm with ample freedom of movement and considerable gripping power enables it to retrieve and carry items. All four sides of the Service & Security robot variant with the arm. This Service & Security robot variant stands at approximately 54 centimeters or 21 1/4 inches tall with the arm in compact mode. The shoulder can move both vertically and horizontally with two sets of motors. A small motor inside the forearm moves the wrist up and down. The gripper has a considerable gripping force and can lift around 500 grams. The gripper can also rotate for pouring drinks, and more. All four sides of the shoulder cover. Please note that this is a custom designed shoulder cover by Jehudah Design. The original shoulder covers were black, but has been reported to have been made gray at some point. 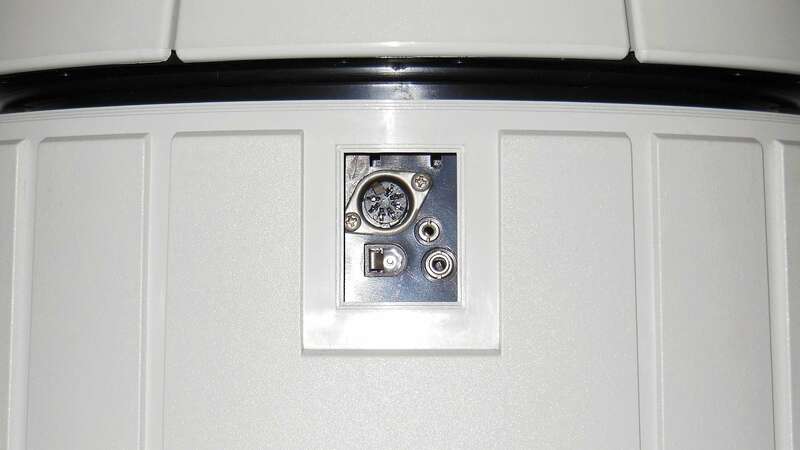 The home security slice that comes standard with the Service & Security robot is equipped with power indicating LEDs, ultrasonic sensors, infrared communication, an alarm siren, and a detector for smoke and gas. The voice slice is equipped with an SP-1000 speech synthesis and speech recognition chip. The speech synthesis has an unlimited vocabulary with pre-programmed allophones. The sound source finder slice was possibly used for the speech recognition function. The right side of the base houses the robot's power switch. Pushing the switch to the downward position powers the robot on. 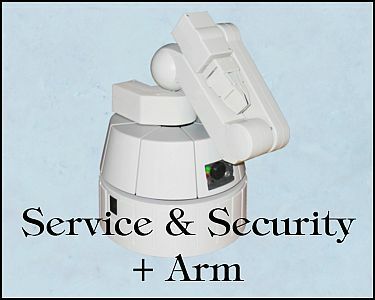 The arm makes the Service & Security robot more versatile in the household and other areas. The left side of the base houses the user ports. 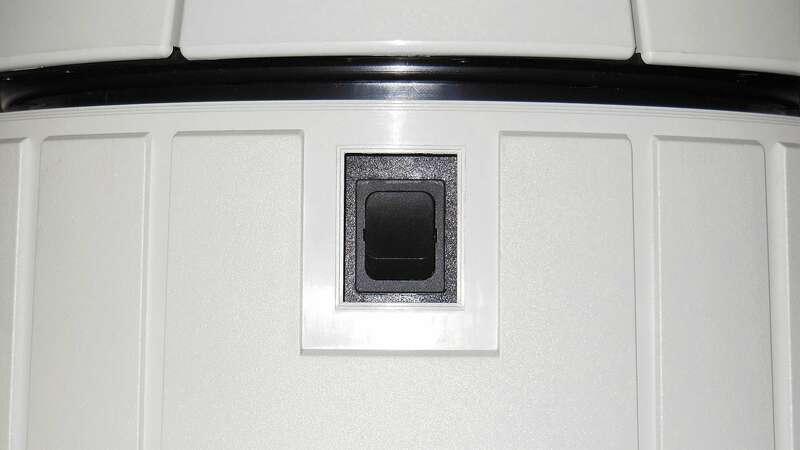 On top is the auxiliary port for various accessories. Underneath is the power supply port, and on the side are the ports for the humidity probe and the cable link. The robot with the RF-Command Keyboard. See the Command Keyboard page for more information. The arm is mounted in the center of the Techno-Cake.